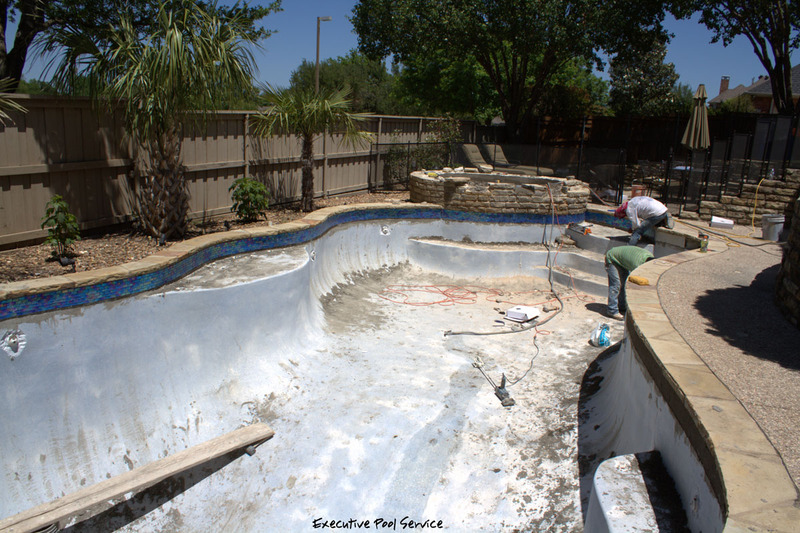 We began by cutting underneath and stripping off all the existing tile. 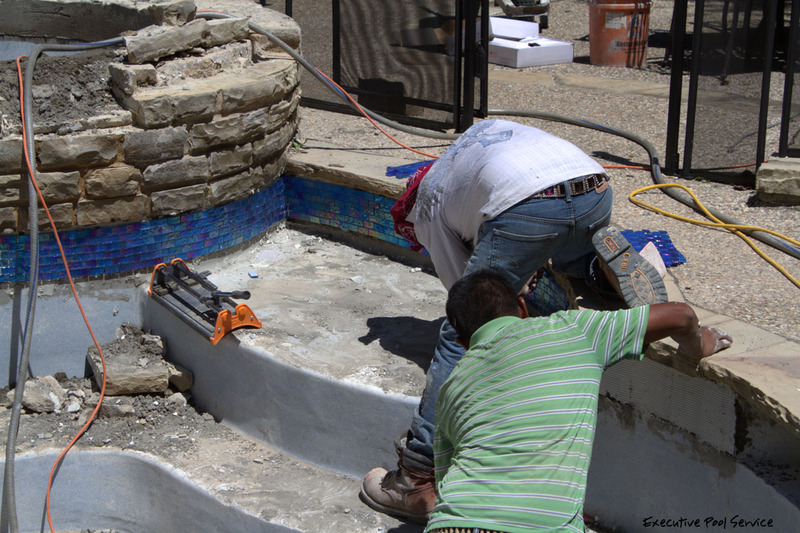 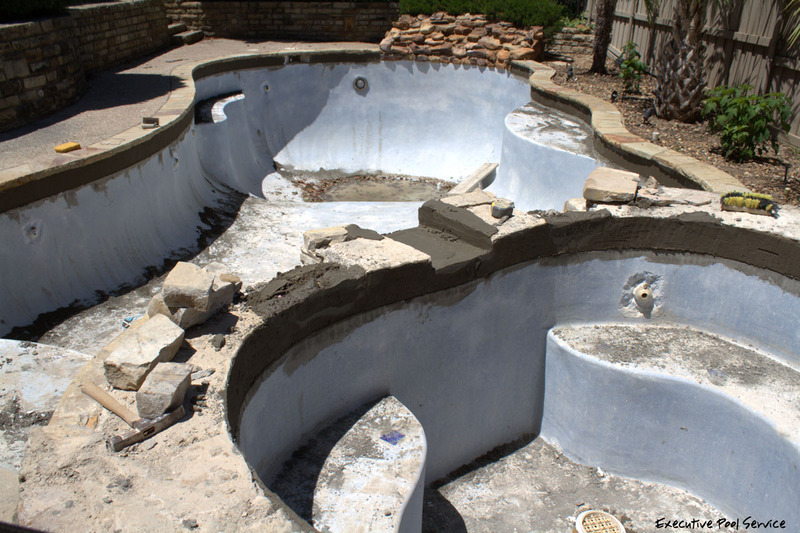 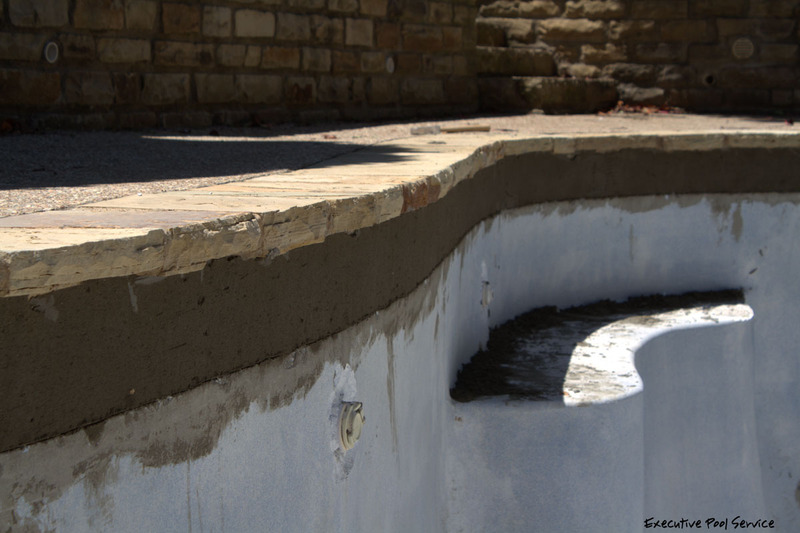 We removed all loose mortar & thinset then applied a bed of fortified mortar around the entire pool & spa. 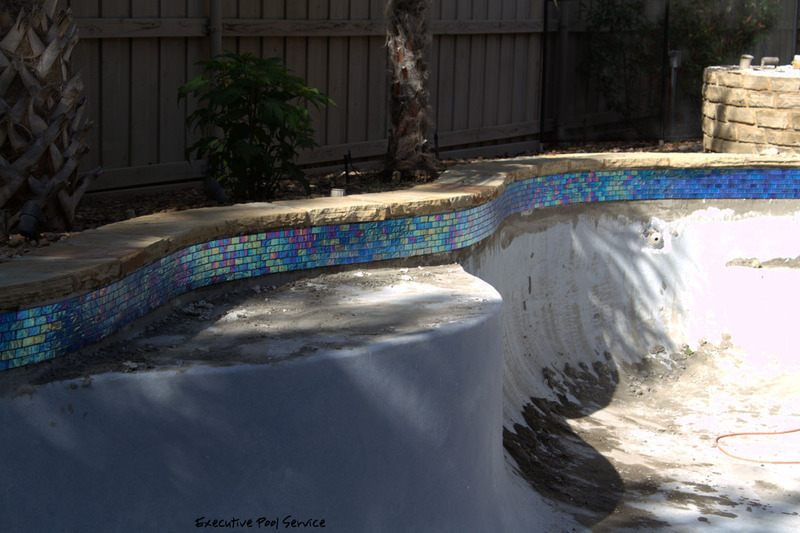 Next step was to set the tile with acrylic fortified thinset. 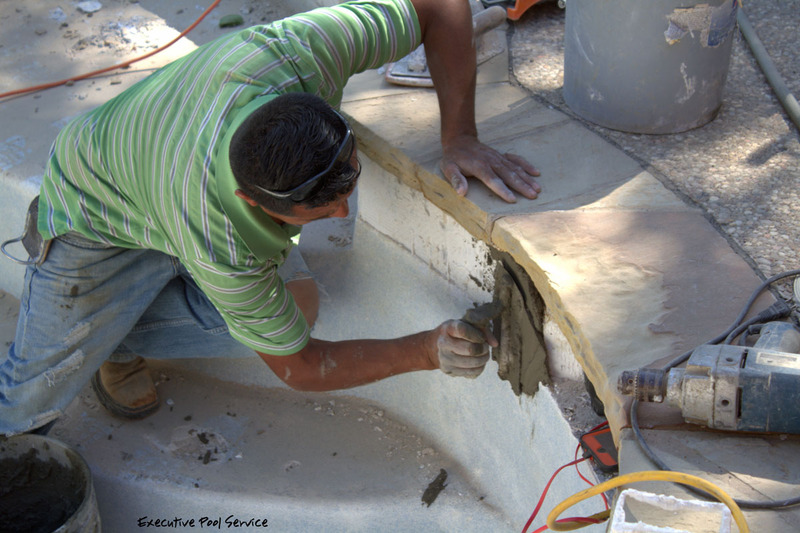 After the thinset dried, we grouted this tile using gray sanded grout. 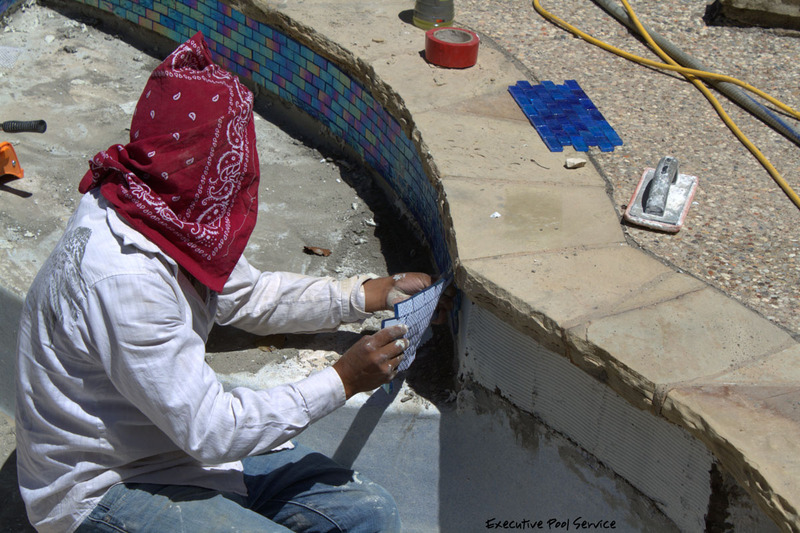 This is the proper way to replace pool tile when replastering. 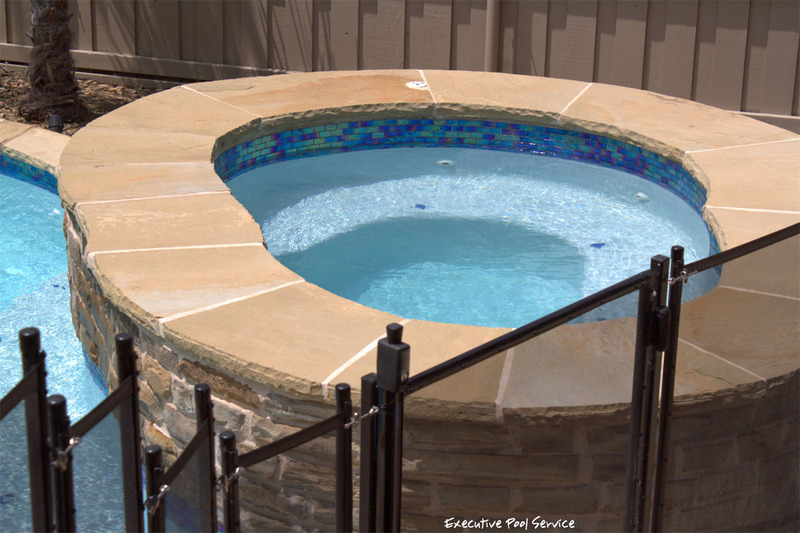 It’s important to note that due to the tight radius’ on this pool we used 2″ wide tile (not 6″x6″). 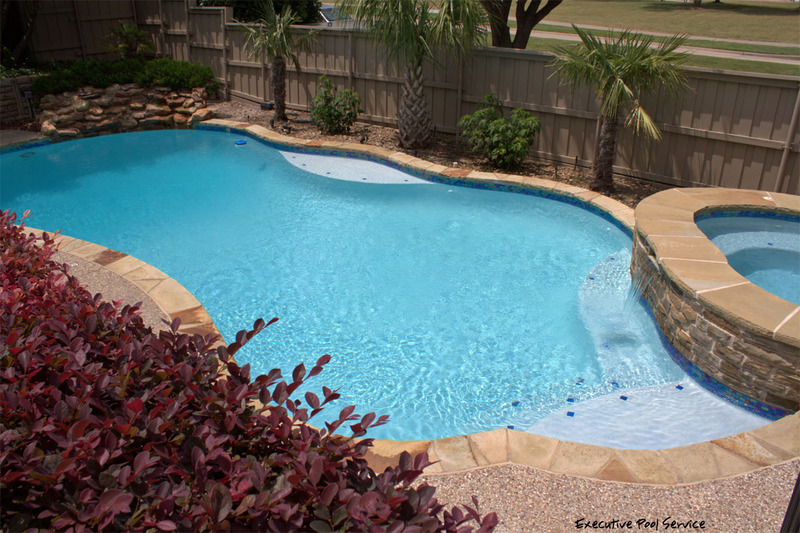 Executive Pool Service ~ McKinney, Tx. 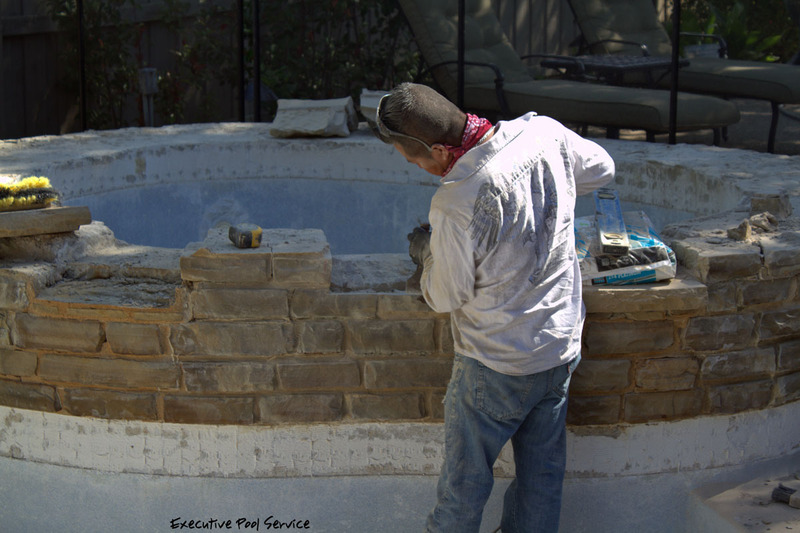 Previous Previous post: Cleaning DE pool filters in the spring & fall.